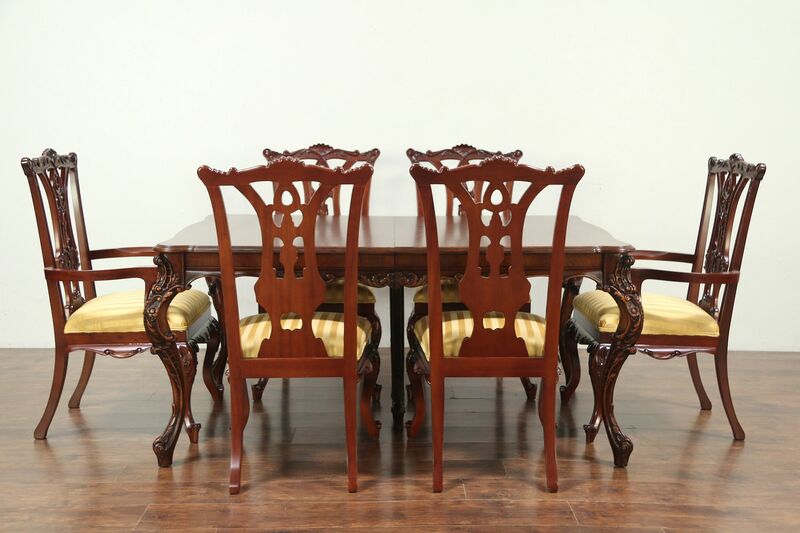 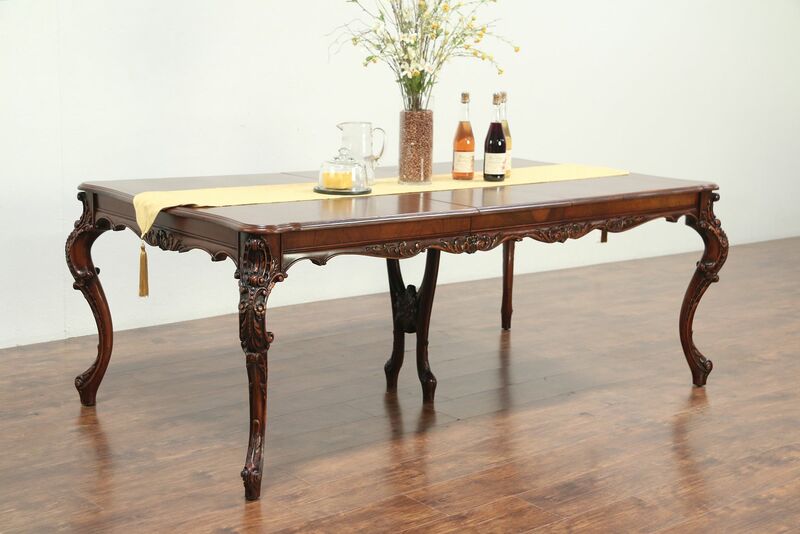 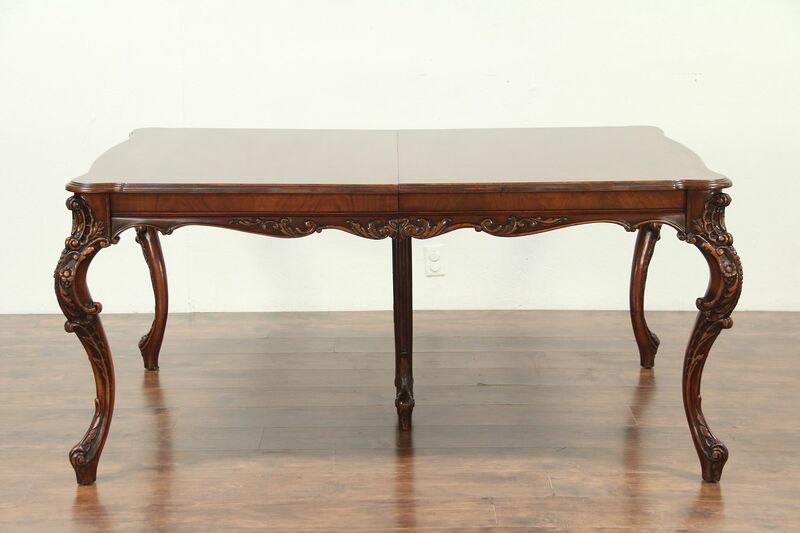 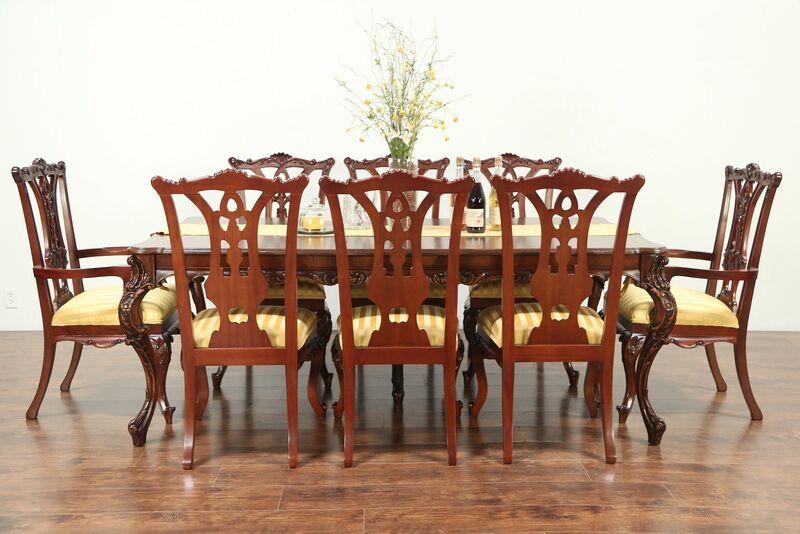 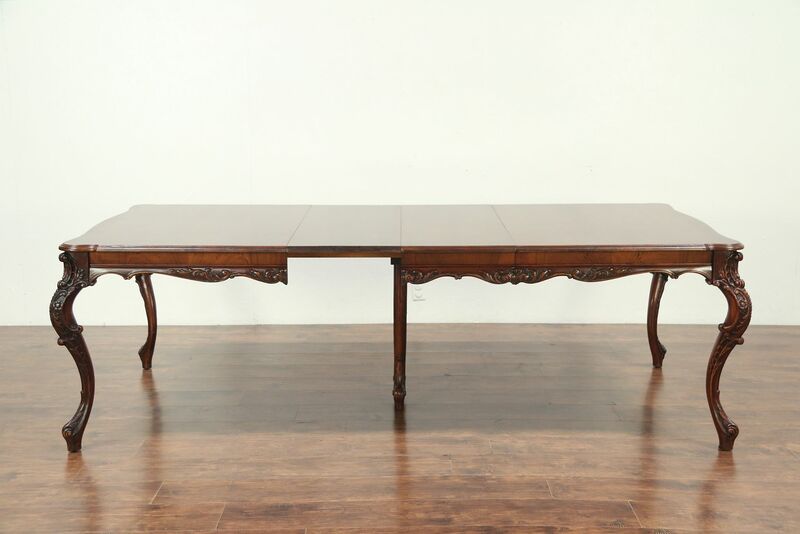 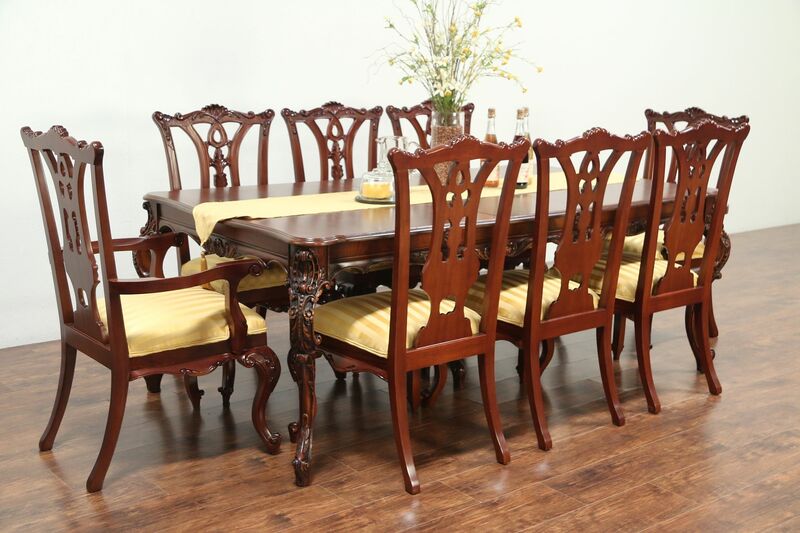 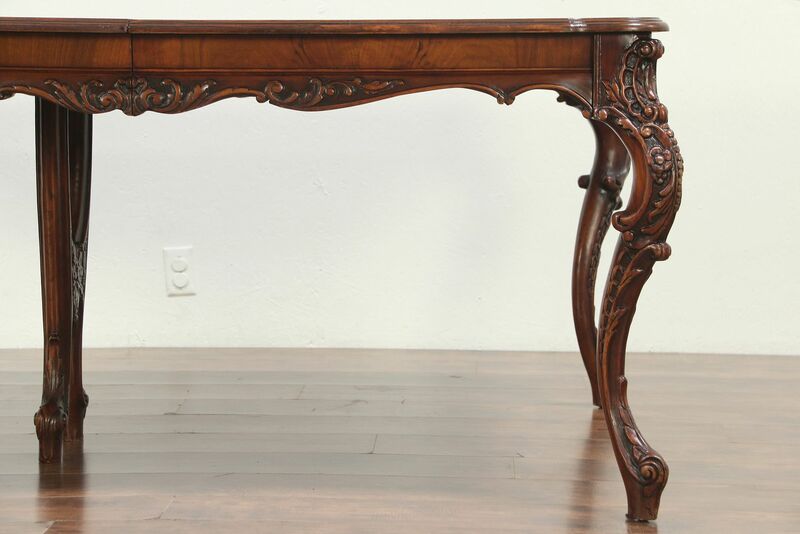 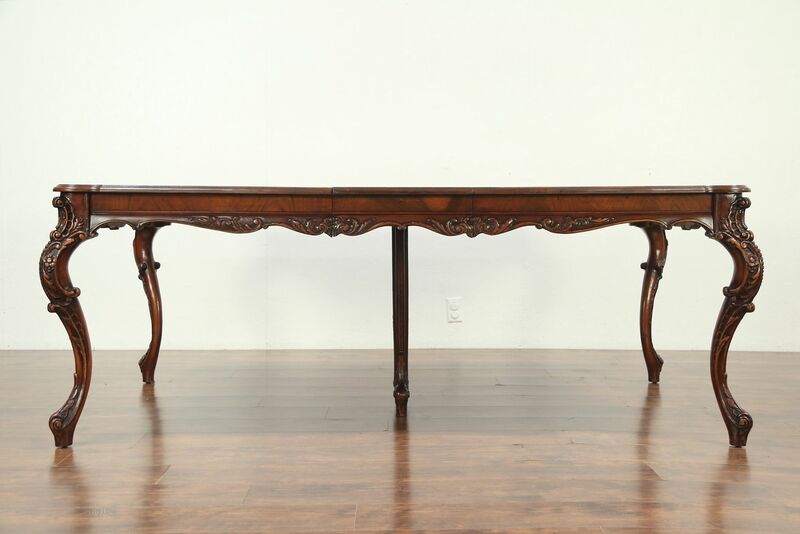 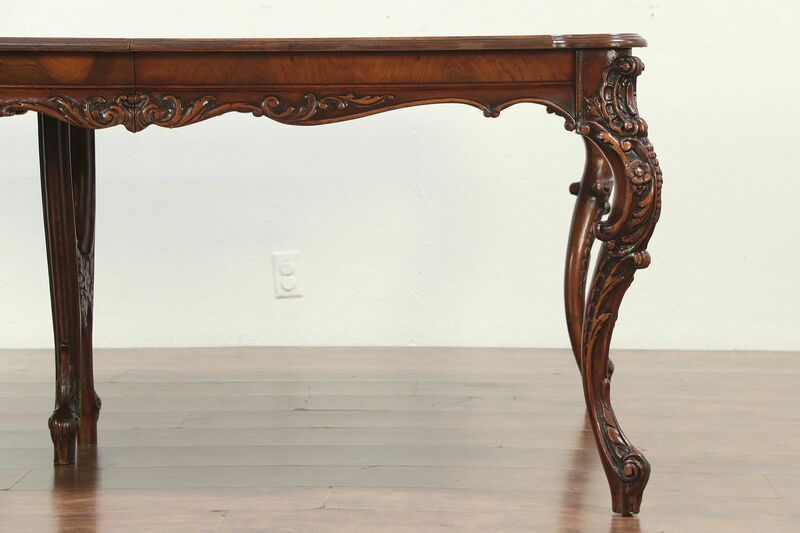 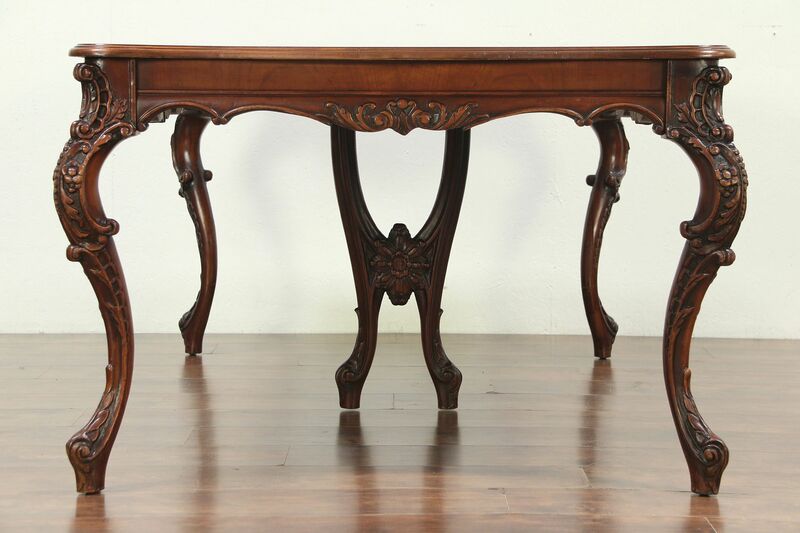 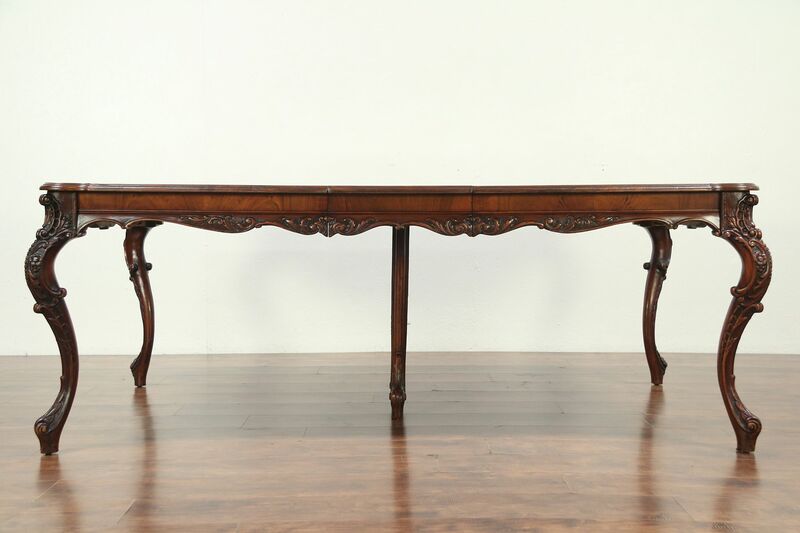 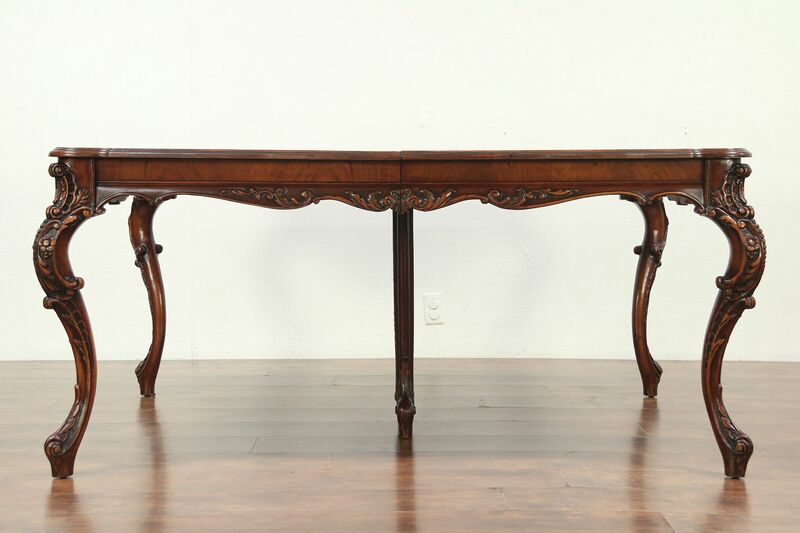 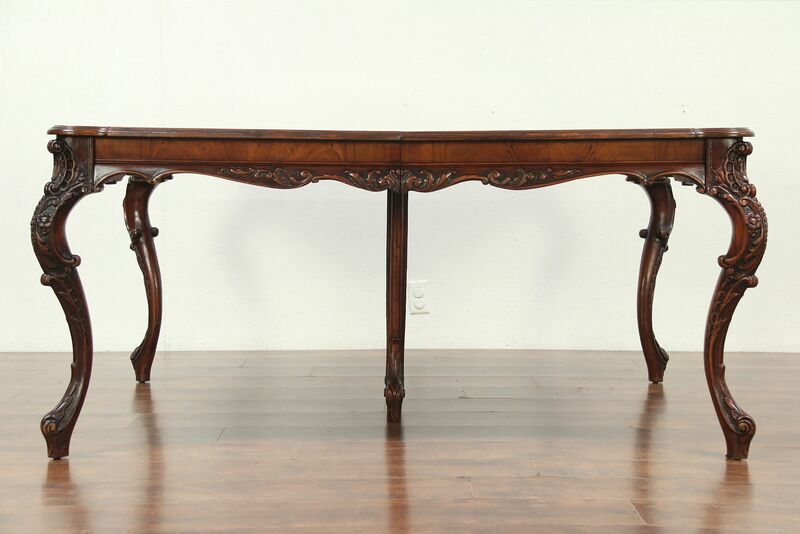 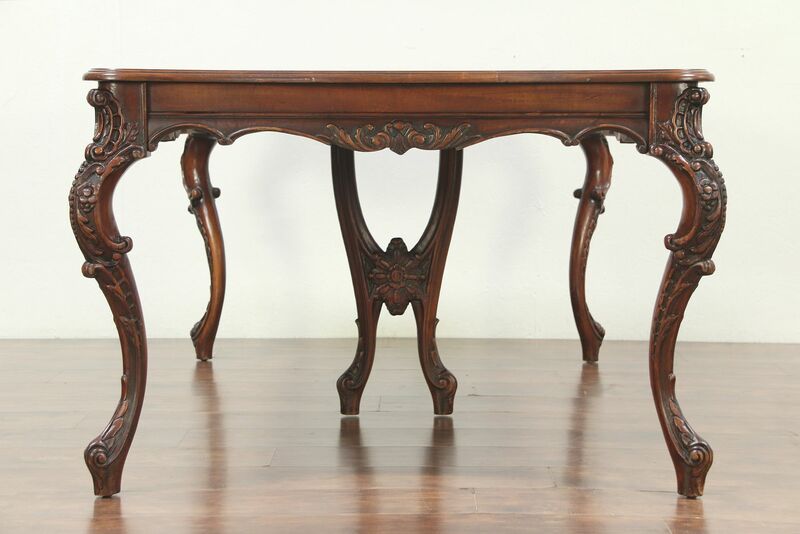 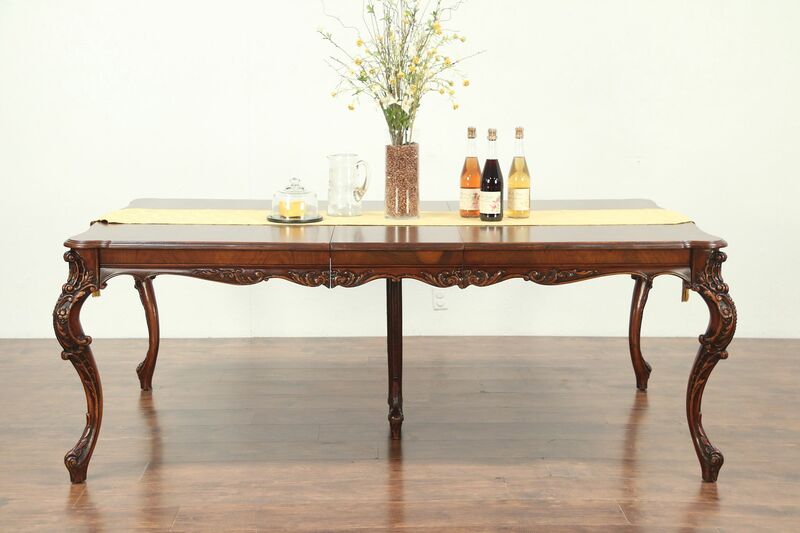 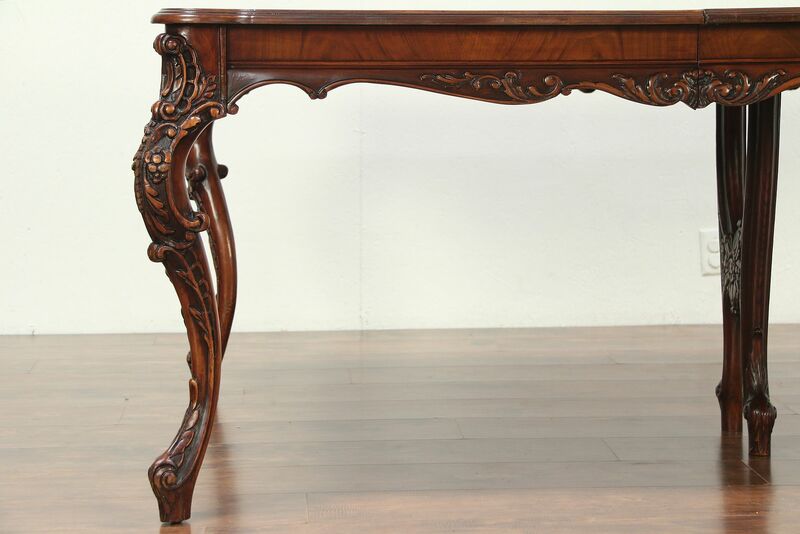 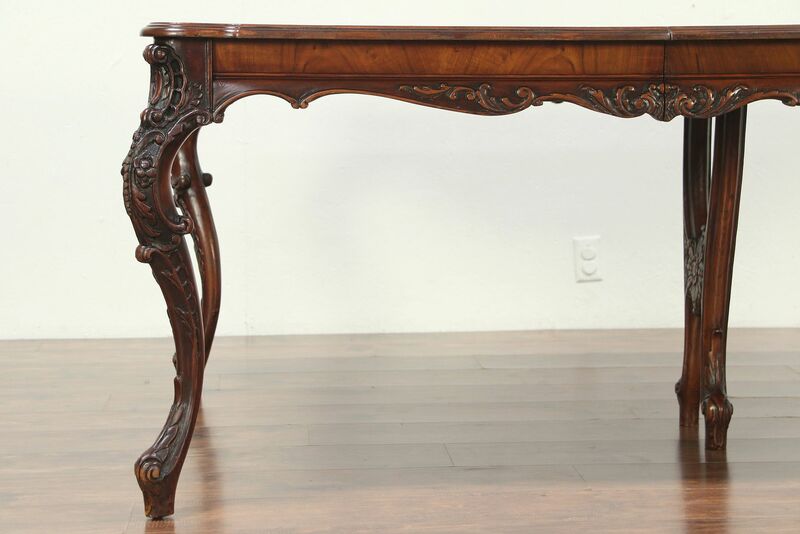 An elegant walnut dining table from about 60 years ago was gracefully carved in the French manner. 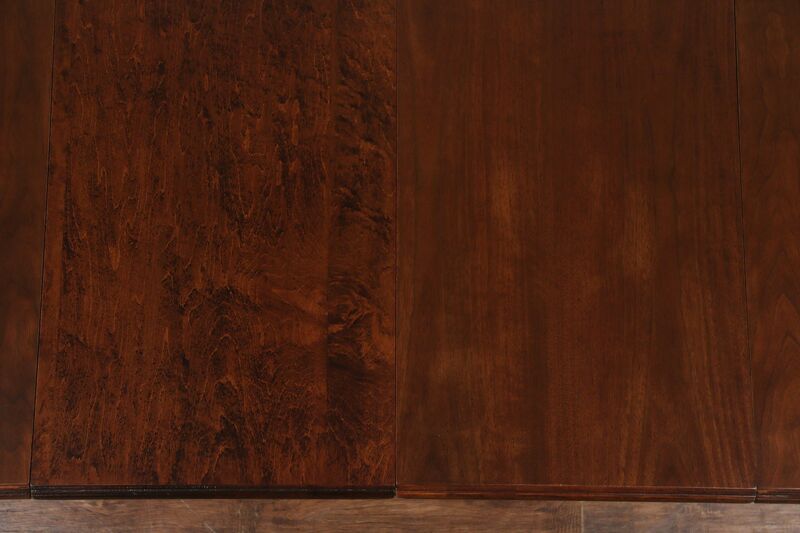 The matched grain top is beautiful. 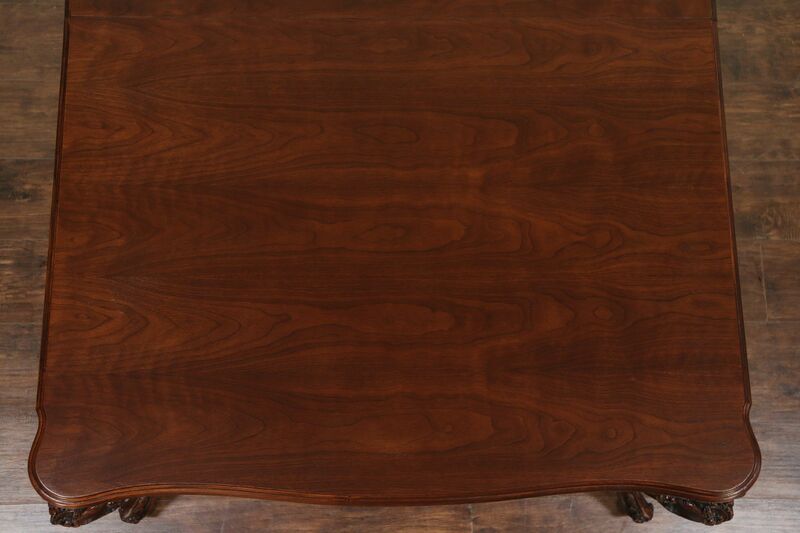 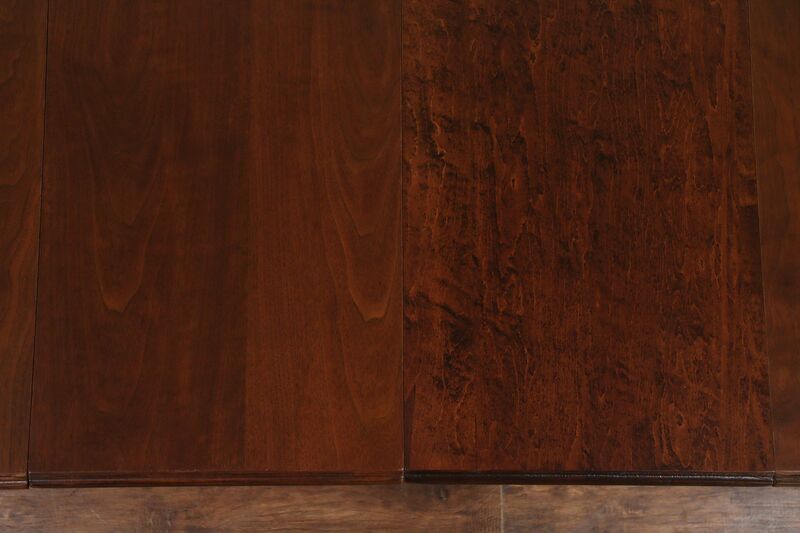 The restored finish is in excellent condition on this American made vintage furniture, the maker's tag is lost. 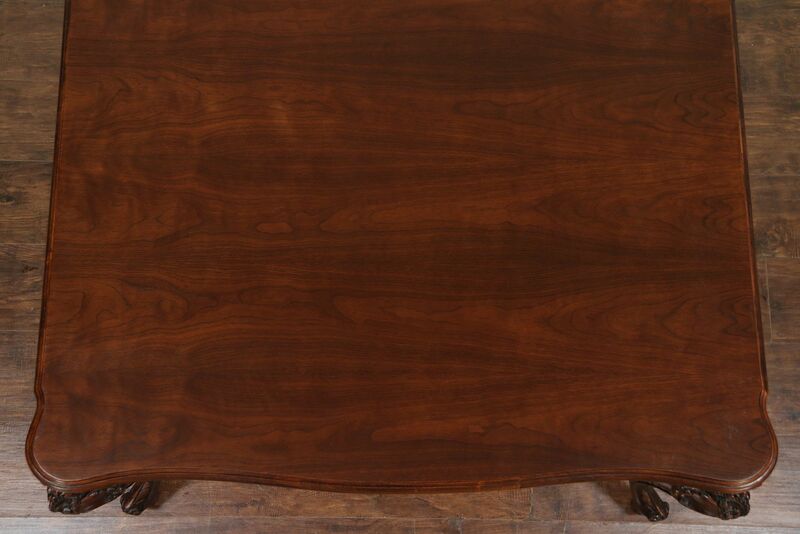 One original 16" wide leaf has a matching skirt or apron, another leaf was made later and the grain is different, see photos. 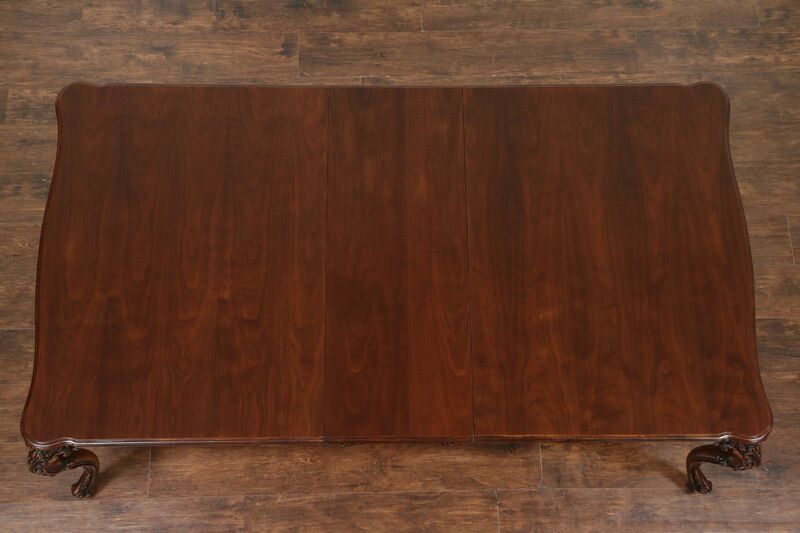 Measurements when closed are 66" long, 46" wide, 30" tall and legroom is about 25" underneath" overall.